In a nutshell, liquidity is all about having the money or credit to fund a purchase. If an individual does not wish to spend their money, they are likely to save the excess in some form in the financial markets. Companies, of course, do the same. If building, say, a new factory does not make financial sense, they will either invest the excess cash flow in financial markets or recycle it by paying out a dividend. At a national level, liquidity can come from the central bank printing money (Quantitative Easing ring any bells? ), from the private sector creating wealth or borrowing money, or via an injection from overseas. The liquidity cycle lasts around eight or nine years, and it is no great surprise that it’s a leading indicator of the economic cycle. More than that, it is also an accurate predictor of movements in financial markets. Observation over many decades tells us that at a particular stage in the cycle, asset classes tend to perform in a predictable way because the lack, or excess, of funding will act in the same way on those assets each time. For over 30 years, our liquidity partners, CrossBorder Capital Ltd, have made it their business to measure and monitor money and credit flows across some 50 countries, and tell investors where in the cycle they are at a particular time. They have also developed their own analysis of the underlying data, and provide frequent and valuable commentary. In particular, as well as providing the liquidity numbers, they have developed effective methodologies for predicting currencies and gauging investor sentiment. 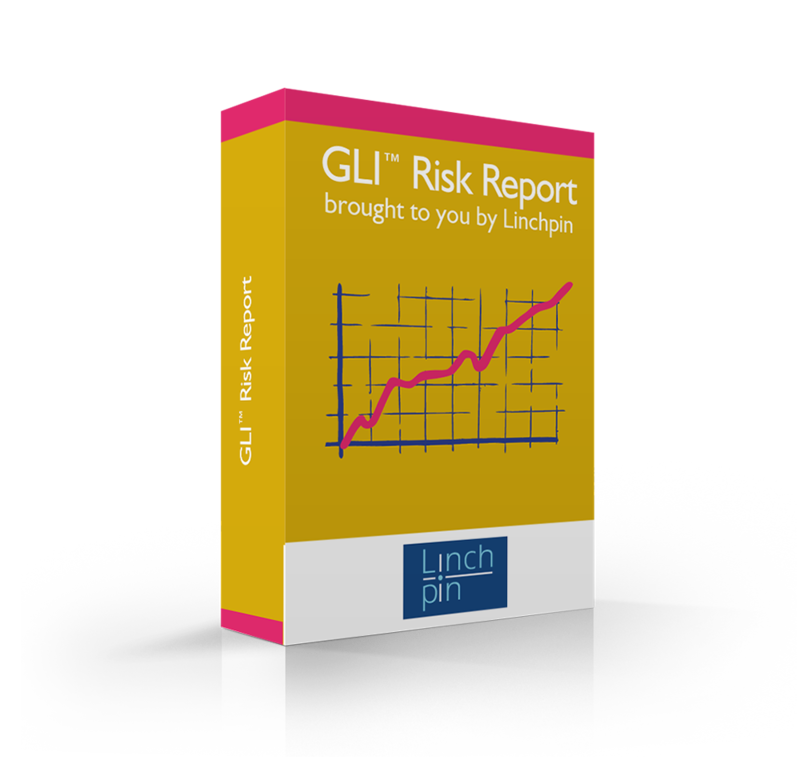 With the Linchpin Package, you get a subscription which combines the three monthly Global Liquidity Indicators (GLIs™) reports for Developed, Emerging Markets and Asia, together with the GLI™ Risk Report, and adds on two chartbooks with more detail on risk country by country. The price represents a more than one third saving on the combined price for these articles, which we view as the most essential reading for investors – simply click the link here. Cost: US $940* for a monthly subscription or US $10,000* for an annual subscription with a free one month trial - click on the image to register your interest. Your monthly report on money and credit conditions around the world, which comes out around the 10th working day after month-end. This is the earliest meaningful indicator of macro-economic conditions available anywhere and is for that reason alone essential reading for all investors. The updates cover both central and private sector liquidity, and highlight both opportunities and risks for markets within a data-based framework. Each month, one is published for Major Markets, one for Emerging Markets and one for Asia. Cost: US $250* each; click on the image to register your interest. 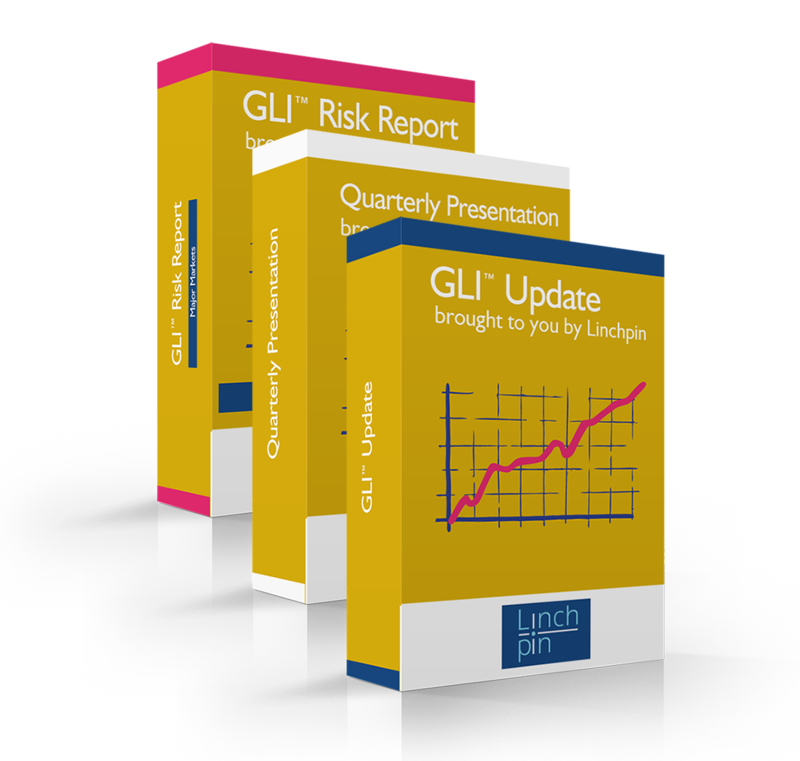 Your monthly report on financial risk around the world, which comes out around the 15th working day after month-end. It uses CrossBorder’s core liquidity data together with other publicly available data to provide a RAG (Red Amber Green) signal for around 50 regions and countries on three separate risk measures which are important to investors: the availability of money and credit, the likelihood of a fall in the exchange rate, and whether equities and bonds are crowded trades. It is one of the few forward-looking risk measures available to investors today, and should be used as a high-level tool to assess where risk is highest and lowest. Specialised reports focusing on a specific and topical subject. They are based on CrossBorder’s analysis of money and credit conditions, and look at the implications of that for markets and real economies. Depending on the subject, the horizon can vary from around 12 months to the very long term. Readers get a deeper dive into a subject or country which sets current conditions into perspective, both over time and against other countries. Global Views are an accurate, data-driven, view into the future today which investors can use to frame their own investment plans. Of course, like all forecasting, new data in the future may change the vision, so we are not claiming that everything will pan out exactly as predicted! Cost: US $500* for Global Views published in previous 12 months, US $150* for earlier ones; click on the image to register your interest. Armed with that framework – one that is demonstrably superior to the macro-economic data which most economists use - investors can interpret markets and decide what is cheap and what is expensive with far greater confidence. No surprise therefore that CrossBorder’s clients include many major asset managers. In our film below, James Clunie, Fund Management Director at Jupiter Asset Management Ltd, discusses how, in a data-cluttered environment, this framework gives him the cut-through to make informed decisions. Linchpin has been monitoring markets and economies since the early 1980s. Through our association with CrossBorder, we have access to data going back many decades and, for some variables, centuries. Based on their unique liquidity framework, CrossBorder have been writing commentaries since 1996, which form a valuable repository of economic history and thinking. Some are short pieces focusing on what might happen next to markets. These include detailed contemporary data and will be of interest to students of particular periods, e.g. the 2008 crisis or Brexit. Others focus on longer term thinking, examining the outlook for market variables such as inflation, bond yields or Emerging Markets. There are also theoretical articles exploring the economic factors which really drive markets in the long term (hint: it isn’t all about risk premia), and how particular asset allocations, such as the Yale University endowment’s famous diversified portfolio, really fare across different liquidity environments. These longer term articles form a useful framework for those making today’s decisions. They help explain how markets work in the real world (hint: China’s rise explains more than academic theorists would like you to believe) and also give historical perspective which you can use to judge against today’s environments. Around 300 Global View articles dating back to 2001 are available through Linchpin on request at a cost of $150* each for those in the back catalogue or $400* for five. This compares to current (i.e. the last 12 months) Global Views which cost $500* each. If you are interested in a specific subject, please contact William Bourne by email: william@linchpin.uk.com or call him direct on 0203 637 6341 or use the online contact form, and he will advise you on which articles are the most relevant to you. *UK VAT at the current rate will be charged as applicable.